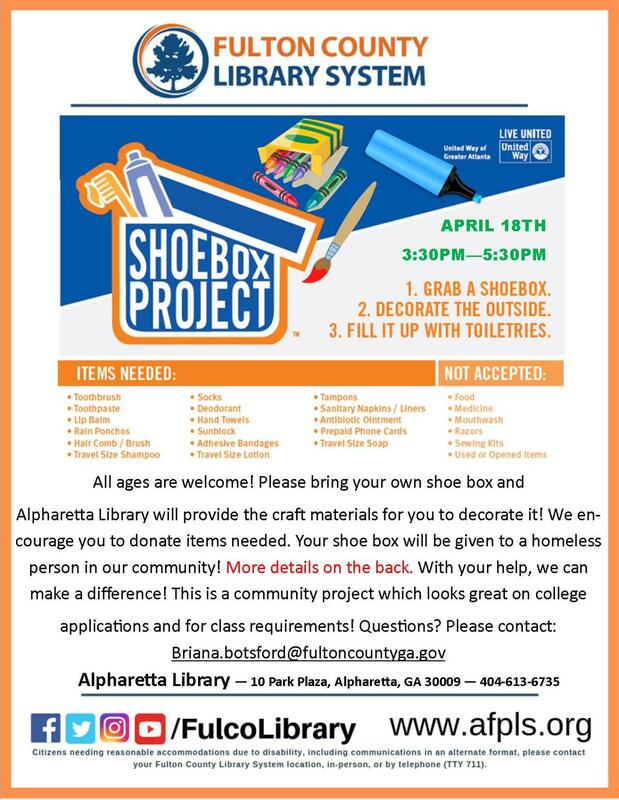 Alpharetta Library will provide the craft materials for you to decorate it! We encourage you to donate items needed. Your shoe box will be given to a homeless person in our community! More details on the back. With your help, we can make a difference!This is a community project which looks great on college applications and for class requirements!